Testament at Boston College when he died yesterday. Apparently he was still quite active in teaching as his class schedule lists his classes for spring 2014. 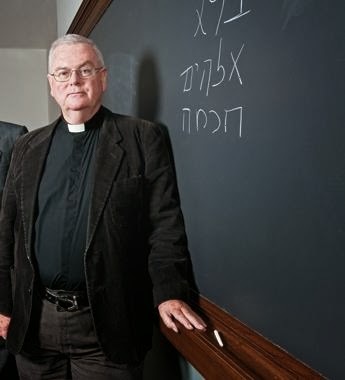 I never met Father Harington, but I have been impacted by his works especially as the editor of the Sacra Pagina commentary series. There is a tribute him at America Magazine. I may have missed this when it first came around, but apparently a recent discovery in Turkey proves the old adage: a receding tide reveals all sort of things below the surface. 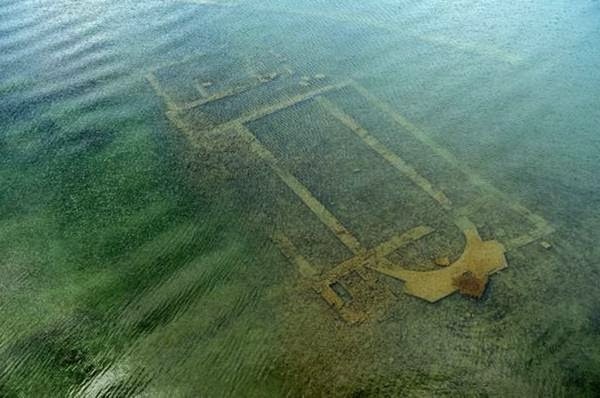 Turkish archaeologists have found a few answers to the mystery of the ancient Byzantine basilica recently found at the bottom of Lake Iznik, ancient Nicaea, close to the coast of the Marmara sea. The remains of the big structure were found by pure chance a few months ago thanks to pictures taken to promote tourism in the area. The silhouette of the ancient building was detected underwater and a team of archaeologists from the University Uludag in Bursa led by Mustafa Sahin started investigating. 'Excavation' work found the remains of a basilica probably built around the IV century AD. The structure is very similar to the Saint Sophia Basilica in Nicaea recently transformed into a mosque, built in the same period. The city was one of the strongholds in the East of the new Christian religion. In 325, soon after the edict of Milan which granted religious freedom to citizens of the Roman empire, ending persecution, it hosted the first ecumenical council of the Christian world. According to Turkish archaeologists, the underwater basilica was built in the first half of the century, soon after the council, and dedicated to Saint Neofitos, a Christian martyr tortured and killed in 313 at the order of governor Decio. The building of Nicaea, in Bithynia, was for a long time a pilgrimage site. Hurryiet online wrote that the basilica ended up at the bottom of the lake probably as a consequence of a big earthquake in 740. According to Professor Sahin, the basilica was originally built along the lake banks where Neofitos was killed. The Turkish archaeologist said he found on remains of the building the writing 'Saint Neofitos' in Greek. Sahin also stressed an incredible coincidence: the building was discovered on January 21, on the same day in which the saint was allegedly killed in 313, according to Christian tradition.